This article was written for E Jewish Philanthropy, and you can read it on their site here. As an education project manager with a nonprofit, I’m interested not only in the interactions and outcomes we make possible, but the behind-the-scenes design and evaluation of experiential education programs. How can we provide more impactful programs? 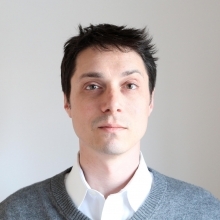 What are the most appropriate target outcomes, and how do we measure them? Structural considerations have to be factored in, and one underlying factor common to many programs is the relationship to kashrut. So that we may welcome Jews from every level of observance, many programs adhere to the most observant dietary restrictions. But what if discussion of food choice could become a point of education? What if decision-making about food could itself be an outcome, a way to inform development of Jewish identity? But how can we productively surface the issues that divide us while developing a sense of shared identity? Reflecting on the challenge, perhaps a model exists in the decision-making process used at the food coops of Oberlin College. I was raised in a reform Jewish household, and the first time that I consistently ate Kosher food was in the Kosher dining coop my freshman year at Oberlin College. Lessons I learned about negotiating inclusion – lessons I learned from fellow students – have stayed with me, and I think are worth sharing. While at Oberlin I served as the student staff in the Judaic and Near Eastern Studies House, was a student representative to my Major program committee (Environmental Studies, Sophomore and Senior year), and led student outdoors trips, including as President of the Outing Club. I also received a Mellon Foundation grant to conduct ecological architecture research, and had other special learning opportunities. But the most meaningful leadership and learning experience I had at Oberlin was the time I spent serving as coordinator of my coop. As coordinator, I led the community in decision-making using consensus process – the process still used today in Oberlin’s coops. Consensus process is a well-developed and functional tool that would allow participants in experiential education programs to together make decisions about kashrut observance. 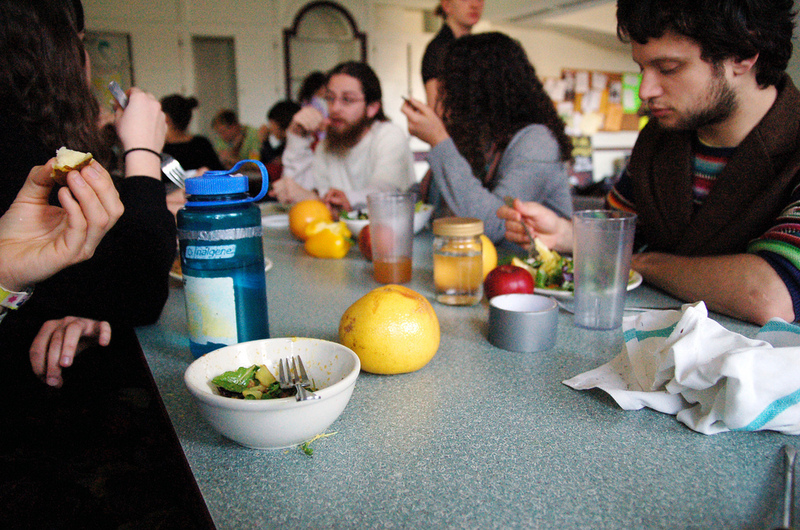 Nearly half of Oberlin students eat in student-run dining coops. Dining service is an option, but many students prefer to be part of less expensive, student-run coops. Student dining coops are essentially student run restaurants that serve three meals a day, seven days a week. Every student has a job or jobs, and each student spends about four hours a week working at the coop. In 2019, a student in dining service at Oberlin will pay $8,230 per semester, while a student eating in a coop will pay just $3,900. But the real value of the coop is beyond monetary. There are eight eating coops at Oberlin, each with its own personality, and the coop for which I served as coordinator, Fairchild Coop, serves 120 members who want to eat vegetarian, and “whole foods” (unprocessed foods to the extent possible.) Fairchild is entirely vegetarian, but about a third of the members are also vegan, and vegan needs are accommodated one way or another at every meal. Like kashrut observance, there are various types of vegan observance. Some vegans simply don’t eat dairy, while others also won’t use honey, or white sugar (which is processed using animal bone.) At the beginning of each semester, it is the job of the Coop Coordinator to lead discussion and decision on food policies, like: will we have honey and white sugar in the coop? In leading a discussion among 100 hungry college students, two third of whom are vegetarian, it would be easy to make non-inclusive decisions. But the Oberlin Student Coop Association (OSCA) has established a very clear and longstanding set of tools that enable inclusive decision-making. After an issue has been preliminarily formulated for decision, any individual wanting to discuss, or make a proposal, rises in turn and speaks. To oversimplify, the coordinator then facilitates discussion until a proposal is formulated and agreed to by the group. Centrally: no proposal may pass unless absolutely everyone agrees to it. If even one individual is uncomfortable with a decision, the process stops until that concern is addressed. While you might think decision-making could be lengthy, and marred by petulance, skillful and respectful facilitation makes a big difference. Using consensus allows informed members of the community to share information, and ideas, and the process also teaches that every individual deserves to be respected, and heard. Consensus process proved to us, again and again, that we could make inclusive and nourishing spaces for our diversity. Consensus process creates community through dialogue. It helps a community learn about itself. Every semester at an Oberlin food coop begins with a quick training on consensus process, and part of a commitment to consensus is to the ongoing education of new members about how the process works, taught by experienced facilitators. As we design pluralistic Jewish educational spaces for children and adults, we can consider making time to discuss and decide on Kashrut observance using consensus. We have nothing to lose; we will only arrive at solutions that serve an educational and pluralistic intent. And let me tell you, whole wheat bread made with molasses never tasted so good as when shared with a vegan who won’t eat it any other way. Through funding from the National Endowment for the Arts, Humanities DC, Brink Media, The Clarice Smith Performing Arts Center, and DCRE Residential I'm currently directing the DC Arts Writing Fellowship on behalf of the non-profit Day Eight. Read the arts magazine Bourgeon here. Previewing the 2017 Dance Season in Washington D.C.